Very Good. This book provides a brief, clear, accurate and detailed account of the main developments in the history of the Greek, Etruscan and Roman architecture, from the earliest times to the foundation of Constantinople. It contains 135 drawings and 24 plates. Trade paperback (US). Glued binding. 456 p. Contains: Unspecified. Good. 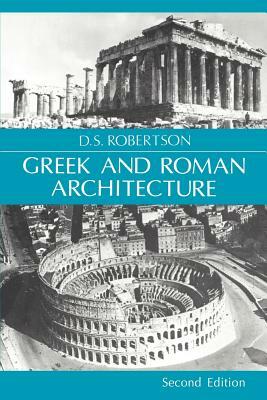 This book provides an account of the main developments in Greek, Etruscan and Roman architecture. Trade paperback (US). Glued binding. 456 p. Contains: Unspecified. Fair. 0521094526 Has a spine crack. Acceptable Condition. Five star seller-Buy with confidence!